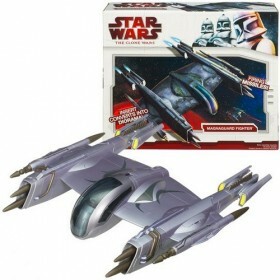 Build your own fleet of intergalactic proportions and launch the assault! 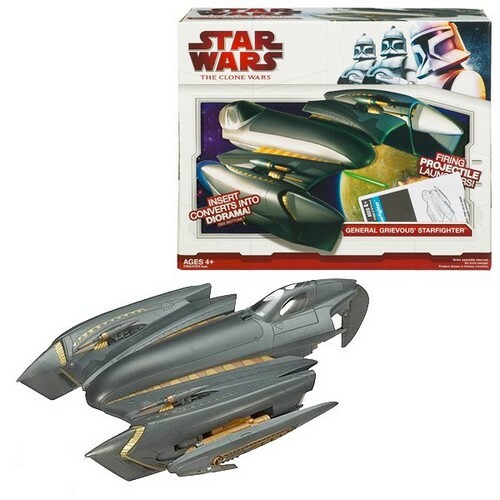 The Star Wars Clone Wars saga continues with these terrific 3 3/4-inch scale collector vehicles. They include terrific action features, like firing missiles, so it’s almost like traveling through space. Each awesome toy in the assortment comes individually packaged in its own colorful, attention-grabbing box… ready to join the fight! The 2009 new packaging for the Clone Wars vehicles has included inserts to convert into diorama so that you can displayed your vehicle collections nicely! 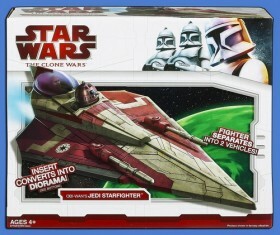 Obi-wan Jedi Starfighter, Magnaguard Fighter, Corporate Alliance Tank Droid, General Grievous Starfighter and Armored Assault Tank. 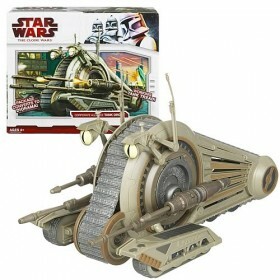 In stock now at Toywiz Malaysia and selling at RM99 each.